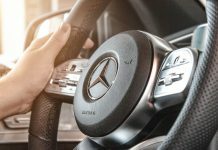 The venue of the Andalucía Valderrama Masters hosted by the Sergio García Foundation, to be held from October 18-21 under the sponsorship of the Council of Tourism and Sport of the Junta de Andalucía is one of the most exciting layouts in continental Europe. Tight fairways, small firm greens and relentless wind present a stiff challenge up to the last shot. There is no sure win at Valderrama, but only six of the 21 Tour events staged at this historic layout – besides the Ryder Cup – have gone to extra holes. Sandy Lyle and Colin Montgomerie starred in the first of these showdowns at the 1992 Volvo Masters. Lyle led by four entering the final round, but Monty worked his way up with a superb 69. The lead was shared for most of the day until Lyle three-putted for bogey on 14. He came back with a birdie on 15 and saved a miraculous par on 17 after a shanked 9-iron hit a tree out of bounds and bounced back into light rough. They ended tied in 287 (+3). On the first play-off hole, Lyle hit a perfect tee shot. Monty tried to fade his in a left-to-right wind, but hit a tree 60 yards out and ended his challenge. This was the 18th and last of Lyle’s European Tour victories. 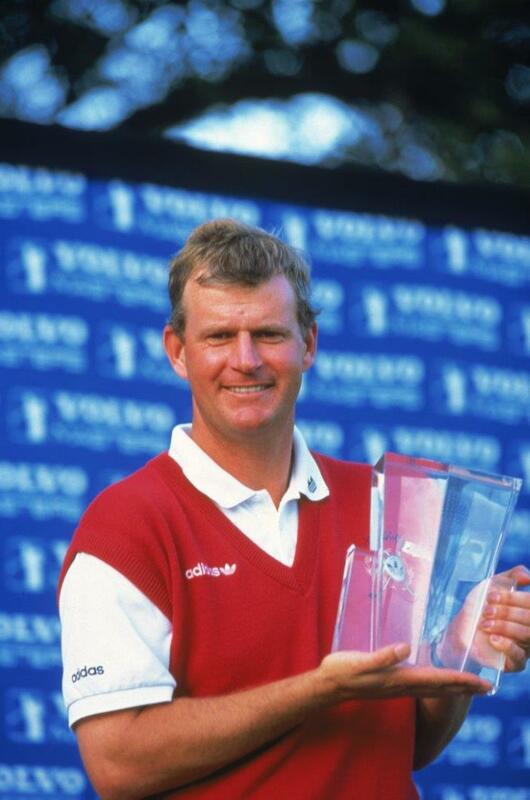 As for Montgomerie, he came back by winning the following edition of the Volvo Masters in 1993, the year he triggered his incredible feat of winning seven European Tour Orders of Merit in a row. 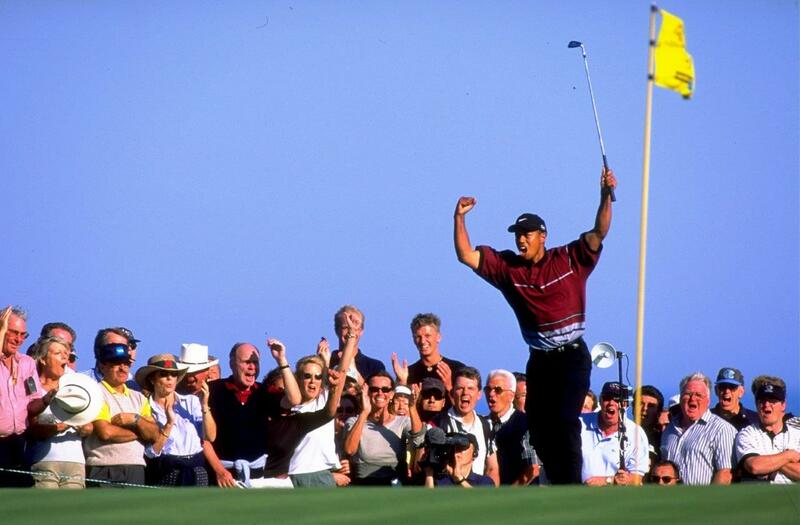 One of the best remembered play-offs at Valderrama pitched local hero Miguel Ángel Jiménez against a dominant Tiger Woods at the 1999 WGC-American Express Championship. Woods looked to be cruising towards his eighth win of the season three strokes ahead of Jiménez, but disaster awaited him in the final stretch. After bogeying 16, a triple bogey 8 on 17 put Jiménez one ahead on the last tee, supported by a thrilled home crowd. The Spanish dreams were shattered as Miguel failed to par 18 (278 -6) and the then world number one ensured victory with a perfect birdie on the first extra hole. 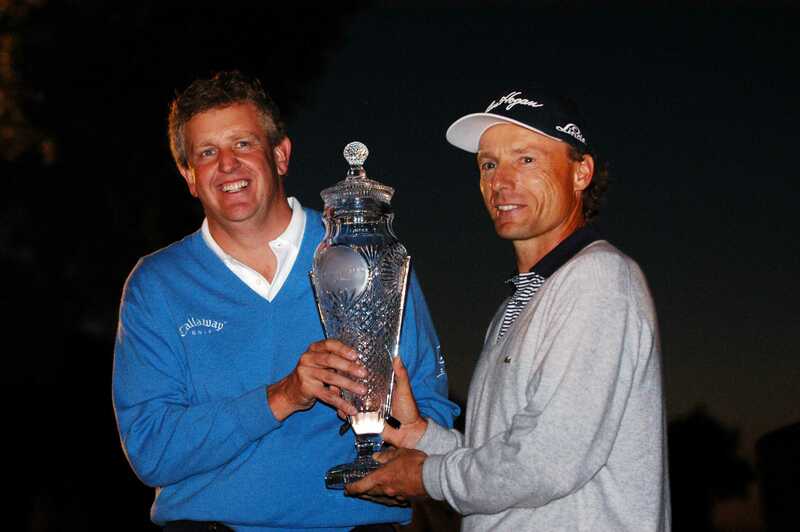 At the 2002 Volvo Masters Bernhard Langer and Colin Montgomerie agreed to share the title as night fell in Valderrama. Langer and Montgomerie had tied on 281 (-3) after signing for scores of 67 and 70. The play-off was delayed because Montgomerie was whisked from the recording unit at the 18th green to the television compound to view a video tape of an incident at the 10th. There had been a possibility that Montgomerie had addressed a moving ball before tapping in, which could have resulted in a two stroke penalty. Once it was determined that there had been no rules infraction, both players headed for the 18th tee in the gathering gloom. After halving two extra holes in pars, both contenders accepted the offer by Ken Schofield, The European Tour’s Executive Director, to share the spoils and shook hands in pitch darkness. The decision to share the trophy was not unprecedented, and coincidentally the last occasion a draw was declared also involved Langer. He and Seve Ballesteros had completed four holes of a play-off for the 1986 Trophée Lancôme when darkness brought proceedings to a close in Paris. 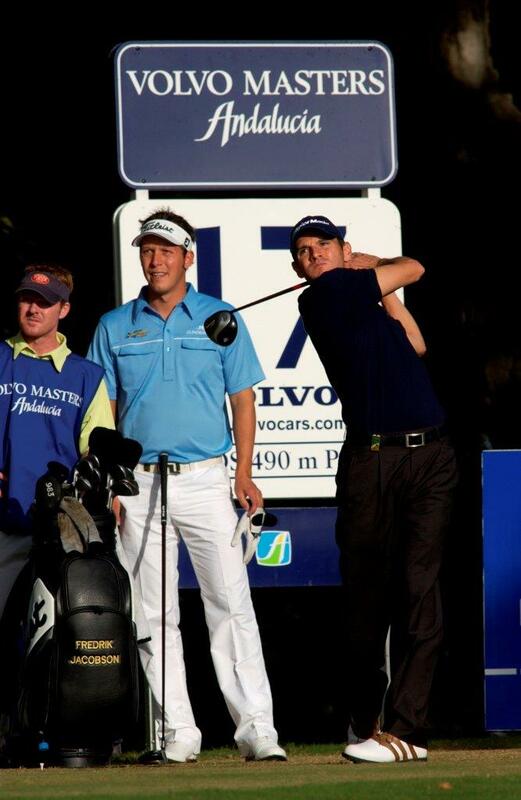 The following year, the 2003 Volvo Masters ended in a tie between Sweden’s Fredrik Jacobson and Spain’s Carlos Rodiles. It was a 28-hole Sunday for the leaders, as they had to complete six holes of the weather suspended third round and needed four extra holes to determine the winner. The final stretch was as tense as could be. Rodiles bogeyed 16 to trail by one, but 17 proved to be key once again as the Spaniard birdied while Jacobson spun his third into the water for a double bogey. The local favourite held a two stroke lead going into the final hole, which at some courses is a comfortable lead, but not at Valderrama. Rodiles tugged his tee shot and had to settle for a bogey while Jacobson conjured up a towering 9-iron from 151 yards to two and a half feet for the birdie that forced the play-off. Rodiles set up winning chances on the first three extra holes, but the putts refused to drop. Memories of the 2002 stalemate were fast resurfacing when the players returned to the 18th for the sixth time of the day – the first being when they completed their delayed third rounds in the morning (276 -12). When Rodiles mishit his tee shot and could only chip sideways from the trees, Jacobson took his chance with an immaculate 8-iron to six feet and the contest was over. In 2004 Valderrama lived up to its reputation of ‘Valde-drama’ as for the third succesive year the Volvo Masters Andalucía provided the sudden-death excitement of a play-off. Ryder Cup teammates Ian Poulter and Sergio García had carded matching rounds of 70 to finish regulation at 277 (-7). García had missed a golden chance to seal the title in regular play when he launched an eight iron approach from 175 yards to five feet at the 72nd hole, but failed to convert. Poulter joined the Spaniard in the play-off as he missed a birdie try of his own on the last. Back to the 18th, both players hit poor drives, but Poulter ended up in much better shape. García could not get out of the rough while his opponent knocked down a 7-iron to the apron and saved par to claim the title. Once again, the home crowd was disappointed, and Sergio was left to rue missed birdie opportunities on 17 and 18. Seven years later he would put things right by winning the 2011 Andalucía Valderrama Masters in front of an enthusiastic gallery, and again in 2017. 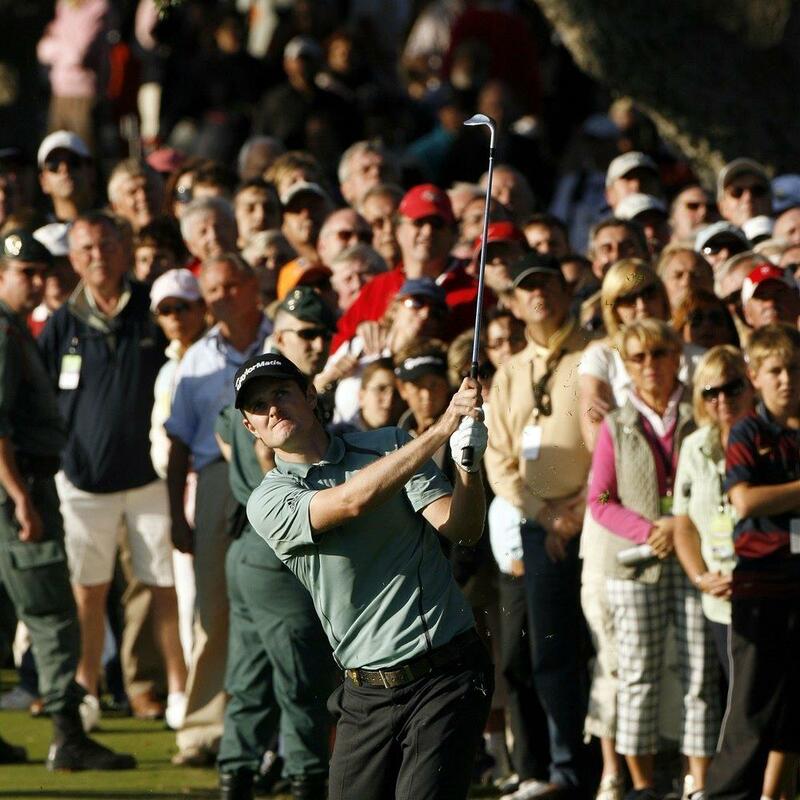 This year he will return to one of his favourite courses as defending champion and tournament host. The last play-off at Valderrama was a three-way fight for the 2007 Volvo Masters title between Britons Justin Rose and Simon Dyson and Dane Søren Kjeldsen (283 -1). Rose had started the day four shots ahead of the field and maintained his lead until a double bogey on 11 started a worrying run of four dropped shots in five holes. He looked like losing the Order of Merit as well as the tournament, but managed to hang on with a superb two-putt birdie on 17 that earned him a spot in the play-off. Reaching the play-off ensured him the Order of Merit, but that would have been no consolation had he blown the tournament. He was determined to win, and did just that by birdieing the second extra hole from 15 feet to clinch the season-ending title.